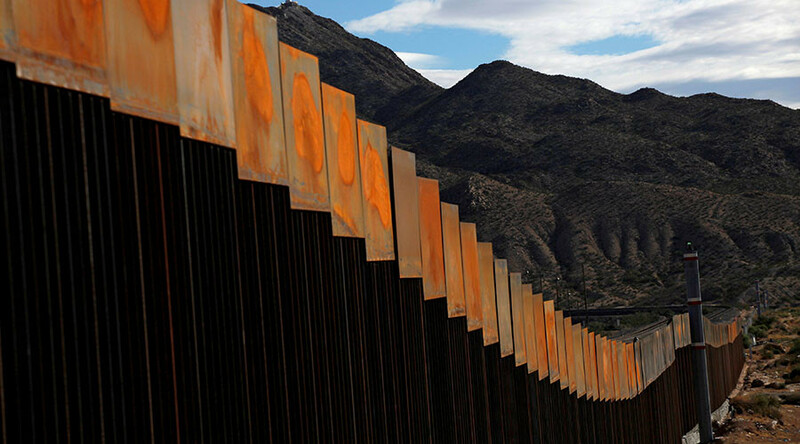 President Donald Trump’s controversial wall along the US-Mexico border will be finished in two years, Homeland Security Secretary John Kelly has said. Almost 2,000 miles of border separates the two countries. There will be a multi-layered approach to building the wall - with a physical wall and part of the wall “you can see through because it will rely on sensors and technology,” Kelly said on Thursday. The government has the will, he said, adding the money to build it will come easily. "The wall will be built where it's needed first, and then it will be filled in. That's the way I look at it," Kelly told Fox News in an exclusive interview. "I really hope to have it done within the next two years." Kelly visited the Rio Grande Valley on Thursday where US Border Patrol agents said that on any given day, they pick up at least 600 people crossing into the country. Each year, thousands of migrants risk crossing the border, navigating difficult terrain in extreme temperatures and often relying on unscrupulous human traffickers. The come from Mexico and Central America driven by economic difficulties and violence in home countries. A recent spike of gang and drug-related violence in Guatemala, El Salvador and Honduras has increased the flow of migrants from those countries. Many people die trying to cross the border from drowning, heat stroke, dehydration and hyperthermia. Federal officials said over 300 died in 2016, 130 of them at the Rio Grande Valley site alone. There are reports that the federal data undercounts the reality on the ground, however. During his presidential campaign, Trump repeatedly said that he will build a wall along the US-Mexico border to control immigration. He declared that Mexico would be forced to pay for the entire wall. Following his inauguration as the 45th president, Trump signed an executive order on January 25 to authorizing the building of the wall. Shortly afterwards, the Mexican President Enrique Peña Nieto said Mexico will not pay for the wall. On January 26th, Trump floated the idea that he would propose a 20 percent tax on imported Mexican goods to pay for the structure. This came shortly after Nieto cancelled a meeting with Trump that was to begin the following day in Washington, DC. It will be only a matter of months before construction begins, Kelly said. He added that he supported a "surge" of resources to the border so that processing those who cross illegally could happen in a matter of weeks, not "600 plus days." "If we could surge the court proceedings ‒ immigration court proceedings on the border ‒ and within the law, do it very rapidly... I think that alone would act as a huge deterrent for people who are considering making the trip up," he said. Dismissing Mexican hostility to the wall, Kelly said the safety of Americans comes first, though he wants to build a partnership on shared border issues.